I walk Monty every day at about 7:15 and this was the first morning that it felt like it was getting lighter! Hoorah. 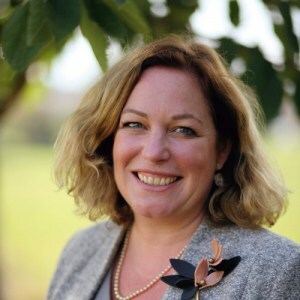 Last week I was away running a Preparation for Headship course for the Independent Association of Prep Schools – mentoring 40 prospective head teachers! They have lots to learn about the challenges of headship but also that it is a privilege to lead a school, affecting the lives of hundreds of children and being a force for good. This is the term that starts in the Winter and finishes at the beginning of the Summer. It has got off to a great start with the children being thrilled to see their friends again whilst enjoying netball, hockey and football. It was the Exeter School 13+ exams this week as well as Sports and All Rounder Scholarships for King’s Taunton and we wished all of our sitting Year 8s the best of luck as all of the preparation becomes worth it! We have also had some year 7s sitting pretests for Sherborne over the last few days, with an academic scholarship sitting for the Maynard next week, other children sitting Music scholarships for Clifton College, Wellington and Exeter alongside further sports scholarships to Taunton School and Wellington. I will let our parents know the results as they come in. We pride ourselves at St Peter’s for working with families to find the best school for their child; each being considered on an individual basis and looking at their academic data as well as what they enjoy. I am in contact with all the Heads of the Senior Schools who receive children from us and this personal approach is one of the things that St Peter’s is really good at. This begins with a 1 to 1 meeting with me in around about Year 5, however, some parents want to start the conversation earlier for which my door is always open. Appointments can be booked with my PA, Mrs. Squance. The School is really thriving with lots of interest from prospective parents – I’ve toured three families just this week whereas January is normally quiet! Interest in St Peter’s is certainly increasing and I feel very proud of the teachers and their work with the children. This makes that most important marketing tool – ‘word of mouth’ happen. Parents are so impressed with the wide and varied opportunities your children have here and of course, there is lots of sport, music and drama as well as ‘Art for Relaxation’, cooking, chess and lacrosse – just some of the weekly activities going on this term! 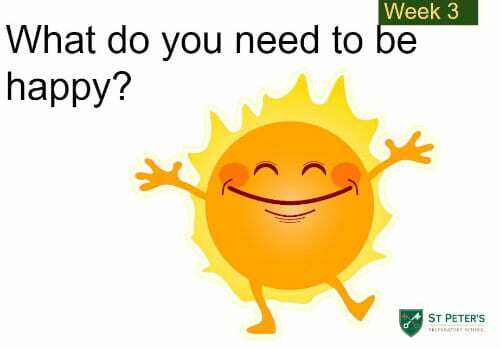 Our thought for the week is to consider happiness. I certainly see a lot of happy children at St Peter’s!